Pierre Teilhard de Chardin was a famous French philosopher and a priest who was also known for his controversial writings. 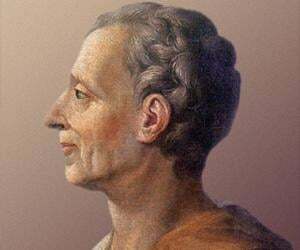 Read more about the life and works of this philosopher in the following article. Pierre Teilhard de Chardin was a famous French philosopher and Jesuit priest who was also trained as a paleontologist and geologist. He took active part in the discovery of both Piltdown Man and Peking Man. Teilhard proposed the concept of the Omega Point and further developed Vladimir Vernadsky's concept of Noosphere. Some of his ideas caused dispute between him and the Magisterium of the Catholic Church, because of which several of his books were censured. In his significant book, “The Phenomenon of Man”, he described the unfolding of the cosmos. In another work, “Book of Genesis” he deserted the traditional interpretations of creation which greatly displeased some officials of the Catholic Church. He was opposed by his Church superiors and some of his books were denied being published during his lifetime by the Roman Holy Office. 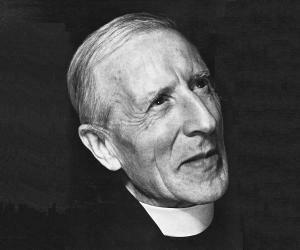 Pierre Teilhard de Chardin was born on May 1, 1881 in Orcines, France. On his paternal side, he was a descendant of an ancient family of magistrates from Auvergne originating in Murat, Cantal whereas from his maternal side he belonged to a family which was entitled under Louis XVIII. His father, Emmanuel Teilhard was an amateur naturalist. He was also an avid stone and plant collector and always promoted conservation of nature in the household. The birth of Teilhard’s spirituality was credited to his mother, Berthe de Dompiere. 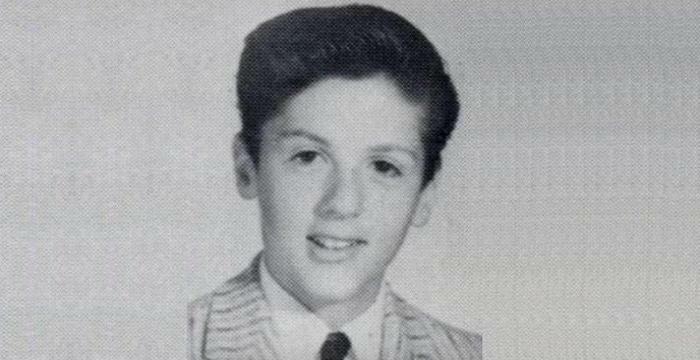 In 1893, when he was only twelve, he went to the Jesuit college of Mongré, in Villefranche-sur-Saône. In 1899, he joined the Jesuit novitiate at Aix-en-Provence, where he started his philosophical, theological and spiritual career. In 1902, he earned a licentiate in literature in Caen. Between the time period 1905 and 1908, Teilhard taught physics and chemistry in Cairo, Egypt, at the Jesuit College of the Holy Family. 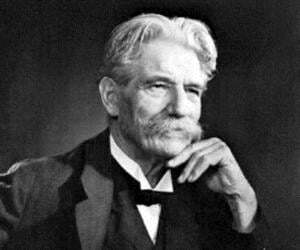 From 1908 to 1912, he studied theology in Hastings, in Sussex. During this time, he developed his scientific, philosophical and theological knowledge in the light of evolution. 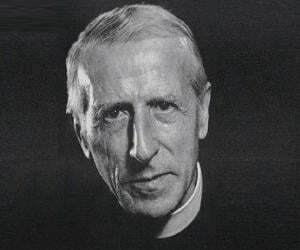 Teilhard was consecrated as a priest on August 24, 1911, at the age of 30. For the next two years, from 1912 to 1914, he worked in the paleontology laboratory of the Musée National d'Histoire Naturelle, in Paris. In June 1912, Teilhard was a part of original digging team along with Arthur Smith Woodward and Charles Dawson who were carrying investigations at the Piltdown site; it was the site where first fragments of the “Piltdown Man” were discovered. He was acquainted with Henri Breuil at the museum's Institute of Human Paleontology, and in 1913, he took part with him in excavations in the prehistoric painted caves in the northwest of Spain, at the Cave of Castillo. He also served in World War I in December 1914 where he was a stretcher-bearer in the 8th Moroccan Rifles. During the war, Teilhard narrated his experiences in his diaries and also to his cousin, Marguerite Teillard-Chambon in letters who later edited these experiences into a book, “Genèse d'une pensée” (Genesis of a thought). He wrote his first essay, “La Vie Cosmique” (Cosmic life), in 1916, in which he had revealed his scientific and philosophical thoughts. On May 26, 1918, Teilhard pronounced his solemn vows as a Jesuit in Sainte-Foy-lès-Lyon. 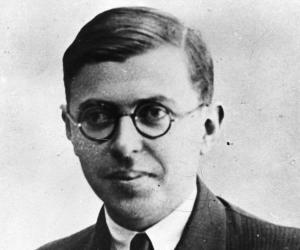 In August 1919, while he was in Jersey, he wrote “Puissance spirituelle de la Matière” (the spiritual Power of Matter). For some time, he pursued three unit degrees of natural science: geology, botany and zoology at the Sorbonne. After 1920, he taught geology at the Catholic Institute of Paris. After being granted a science Doctorate in 1922, Teilhard became an assistant professor. Teilhard traveled to China in 1923 with Father Emile Licent, who was in-charge of important laboratory collaboration between Natural History Museum in Paris and Marcellin Boule's laboratory. While he was in Ordos Desert, he wrote several essays which also included “La Messe sur le Monde” (the Mass on the World). The next year, he resumed his lecturing at the Catholic Institute and also took part in several conferences for the students of the Engineers' Schools. The Catholic Church asked him to teach at the Catholic Institute and to continue his geological research in China. In April 1926, he traveled back to China. Teilhard remained in China for the next twenty years which also included a number of voyages throughout the world. Between 1926 and 1935, he made five geological research expeditions in China, which enabled him to establish a general geological map of China. During 1926-1927, Teilhard traveled to the Sang-Kan-Ho valley near Kalgan (Zhangjiakou) and made a tour in Eastern Mongolia. 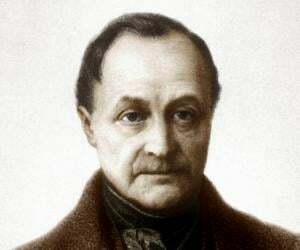 In this period, he wrote Le Milieu Divin (the divine Medium). He also started writing the first pages of his main work “Le Phénomène humain” (The Human Phenomenon). In 1926, Teilhard joined the excavations of the Peking Man Site at Zhoukoudian as an advisor. He also played the role of the advisory for Cenozoic Research Laboratory of the Geological Survey of China, which was founded in 1928. He stayed in Manchuria with Emile Licent and for some time remained in Western Shansi and northern Shensi with the Chinese paleontologist C. C. Young and Chairman of the Geological Survey of China, Davidson Black. After the tour of Manchuria in the area of Great Khingan, Teilhard joined the team of American Expedition Center-Asia in the Gobi organized by the American Museum of Natural History with Roy Chapman Andrews. Teilhard, along with Henri Breuil, discovered that the Peking Man the nearest relative of Pithecanthropus from Java was a “faber”. During this period, Teilhard wrote “L'Esprit de la Terre” (the Spirit of the Earth). As a scientist, he also took part in the famous “Croisiere Jaune” or "Yellow Cruise" managed by Andre Citroen in Central Asia. He joined the China Group in Kalgan who joined the Pamir group, in Aksu. He spent several months in Urumqi, capital of Sinkiang with his colleagues. In 1933, he was ordered by Rome to give up his post in Paris. Teilhard also undertook many explorations in the south of China which included his traveling to the valleys of Yangtze River and Szechuan (Sichuan) in 1934 and to Kwang-If and Guangdong, in the next year. Between 1927 and 1928 Teilhard stayed at Paris, France during which he traveled to Leuven, Belgium, to Cantal, and to Ariège, France. On the invitation of Henry de Monfreid, he went to Obock in Harrar and to Somalia with his colleague, geologist Pierre Lamarre. Teilhard stayed in France and in the United States from 1930–1931. In 1935, he joined the Yale-Cambridge expedition in northern and central India along with geologist Helmut de Terra and Patterson, who had affirmed their assumptions on Indian Paleolithic civilizations in Kashmir and the Salt Range Valley. On the invitation of Professor Ralph van Koenigswald, he went to the site of Java man during which a second cranium, was discovered. In 1937, onboard of the boat, the Empress of Japan, he wrote “Le Phénomène spiritual” (The Phenomenon of the Spirit). The ship carried him to United States where he was awarded with the Mendel medal by Villanova University during the Congress of Philadelphia, recognizing his works on human paleontology. In the year 1939, his book L’Energie Humaine was banned by Rome. During his stay at France, he suffered from malaria. While returning to Beijing, he wrote “L'Energie spirituelle de la Souffrance” (Spiritual Energy of Suffering). In 1941, Teilhard presented his most important work “Le Phenomena Humaine” to Rome and by 1947, he was precluded by Rome to write or teach on philosophical subjects. Pierre Teilhard de Chardin died in New York City on April 10, 1955. He was buried in the cemetery at St. Andrews-on-Hudson in Poughkeepsie, upstate New York. Was born in Orcines, France. Went to the Jesuit college of Mongré, in Villefranche-sur-Saône. Joined the Jesuit novitiate at Aix-en-Provence. Earned a licentiate in literature in Caen. Taught physics and chemistry in Cairo, Egypt, at the Jesuit College of the Holy Family. Studied theology in Hastings, in Sussex. Was consecrated as a priest. Worked in the paleontology laboratory of the Musée National d'Histoire Naturelle, in Paris. Took part with him in excavations in the prehistoric painted caves in the northwest of Spain, at the Cave of Castillo. Served in the World War I as a stretcher-bearer in the 8th Moroccan Rifles. Wrote his first essay, La Vie Cosmique (Cosmic life). Pronounced his solemn vows as a Jesuit in Sainte-Foy-lès-Lyon. Wrote Puissance spirituelle de la Matière (the spiritual Power of Matter). Was granted a science Doctorate. Traveled to China with Father Emile Licent. Joined the excavations of the Peking Man Site at Zhoukoudian as an advisor. Traveled to the Sang-Kan-Ho valley near Kalgan (Zhangjiakou) and made a tour in Eastern Mongolia. Stayed in France and in the United States. Was ordered by the Rome to give up his post in Paris. traveled in the valleys of Yangtze River and Szechuan (Sichuan). Joined the Yale-Cambridge expedition in northern and central India. He wrote “Le Phénomène spiritual” (The Phenomenon of the Spirit). His book “L’Energie Humaine” was banned by Rome. Presented his most important work “Le Phenomena Humaine” to Rome.